Turkestan Soviet Republic (TSR) was proclaimed on April 30, 1918 at the 5th Regional Congress of Soviets (Tashkent, April 20-May 1). “Turkestan Soviet Federative Republic, being run autonomously recognizes and coordinates its activities with the central government of the Russian Soviet Federation”, was written in the documents of the congress. The territory of the former Turkestan province (after the February Revolution –Turkestan), which included the Trans-Caspian, Samarkand, Fergana, Semirechye and Syrdarya region, was included in the territory of the former TSR. 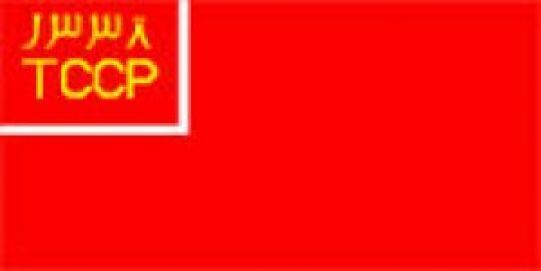 The Central Executive Committee (CEC) (Chairman- Communists P.Kobozev and A. Solkin) was elected by the congress. In May 1918 was formed the Turkestan Military District. Rakhymzhan Koshkarbayev (1924-1988) was born in Akmola region. In 1942 was mobilized and fought till the Victory. In 1964-1967 he worked in Akmola region, was an inspector in the management of migration at the Council of Ministers. Since 1967 he led the team of the famous hotel “Almaty”. 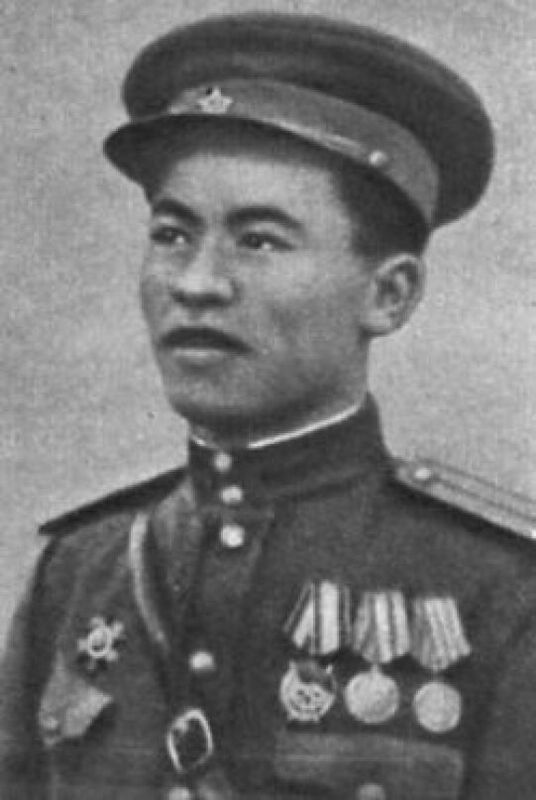 Rakhymzhan was awarded with the Order of the Red Banner, Order of the Great Patriotic War of 1st degree, medals “For the Capture of Berlin” and “For the Liberation of Warsaw”. His act on the Reichstag was awarded with Order of the Red Banner. In 2001 he was awarded with the title of “Halyk Khaharmany” (“Hero of Kazakhstan”). Gregory Bulatov (1925-1973) was the ordinary scout of Red Army. He was born in the village Cherkasovo of Sverdlovsk region in a working class family. Together with Lieutenant Rakhimzhanov Koshkarabayev was one of the first who hoisted the red flag on the Reichstag on April 30, 1945. He was the holder of the Order of the Red Banner and Glory of 3rd degree, also many medals. According to the magazine of fighting the 150th Infantry Division at 14.25 pm on April 30, 1945 Lieutenant Rakhymzhan Koshkarbayev and soldier Gregory Bulatov “crawled on their bellies to the central part of the building and on the stairs of the main entrance put a red flag”. In his book “We stormed the Reichstag” the Hero of the Soviet Union Ivan Klotchkov wrote that “Lieutenant R. Koshkarbayev was the first who hoisted the red flag on the column”. “Combar Davydov took me to the widow. (It is in the “house of Himmler”). “See the Reichstag, - he says? Pick up the right people, you will place the flag. He gave me a dark, quite heavy bundle - flag that was wrapped in black paper. With the group of scouts I jumped out the window. Soon we all had to lie down as heavy fire started. There was one soldier next to me who was Gregory Bulatov. He kept asking” “What do we do Comrade Lieutenant?” We were lying with him at the ditch filled with water. “Let’s put our names on the flag” – I suggested to him. Then immediately with indelible pencil, which was in my pocket, we wrote “674th Regiment 1st battalion” and our names “Lieutenant Koshkarbayev and Red Army man Bulatov” lying under the bridge. For the heroism Koshkarbayev and Bulatov were given the title of Hero of the Soviet Union by the command regiment. However, Koshkarbayev was awarded with the Order of the Red Banner.